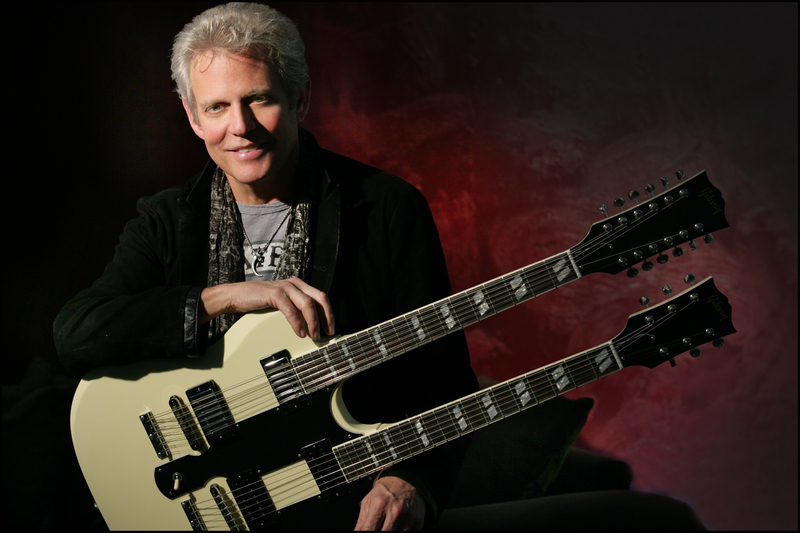 Former Eagles guitarist Don Felder recently spoke with Music Recall Magazine from his home in Los Angeles, California. Check out MRM’s exclusive interview with Felder below. See Felder and the Doobie Brothers this Friday, May 1 in Simpsonville, SC at the Charter Spectrum Amphitheatre. Tickets are still available and can be purchased HERE. MRM: What made you want to start playing guitar as a youth? Felder: My dad finally bought a black and white television set. I think we were the last people in our community to actually have a television set. And I remember seeing the Ed Sullivan show with Elvis Presley performing. And all of these young girls were screaming at him and just crying over him. And I said, “You know, that looks like that would be something fun to do. I want to do that.” So I wound up trading a handful of cherry bombs, which I got from my favorite uncle in North Carolina, to a kid across the street for a broken-up, kind of beat-up old acoustic guitar that was missing some strings. I got somebody to help me find the right strings to replace it with and show me a few chords. And I was just off and gone. I would sit on my front porch after school, before my parents got home, just playing guitar. MRM: Growing up in Gainesville, Florida, how was your guitar playing influenced by that southern atmosphere? Felder: You know a lot of kind of rockabilly music was going on. And later I met and played with people like Stephen Stills who was in my first band called The Continentals. And when he left, Bernie Leadon replaced him in the band – who was later one of the founding members of the Eagles. I taught Tom Petty guitar lessons there in Gainesville. We had a little music store that I worked in during freshman year of high school. And Tom came in and was in some band called The Rucker Brothers. He had been playing bass, so I started giving him guitar lessons and helping with arrangements in his band. Duane Allman and Gregg Allman had bands called The Spotlights and The Allman Joys. We were at battle of the bands together. I would steal everything I could from Duane. As a matter of fact, he was the one that showed me how to play slide guitar – gave me my first introduction to it. I thank him to this day for his kindness and generosity to take the time to help me. Anyway, in that whole environment there was a local competition of people that wound up going on to become platinum selling recording artists or (Rock and Roll) Hall of Fame inductees. We kind of drove each other to try to do one step above what the other bands were doing in town. And unfortunately, the battles of the bands were always won by whatever band the Allman brothers were in – whether it be The Allman Brothers, The Allman Joys or The Spotlights. They were just unbelievable. Duane was the best guitar player I’d ever seen. And I just wanted to emulate his ability. So that whole southern influence was a huge influence on me. There was a lot of Latin music coming out of Miami. We used to go down during the summer and work the strips – you know, the dance clubs and stuff down there. There was a lot of Latin influences that crept into my songwriting like “Hotel California” and arrangements like the acoustic version of that song that I did for “Hell Freezes Over,” which is a very kind of southern-Latin influenced approach. Stephen was very much influenced by the Latin feels in Florida down there. So southern rock and the Latin influence was a great combination for me – for feel and just intensity for rock and roll. I really enjoyed growing up there. MRM: Was that around the same time frame that Steve Spurrier was playing football at the University of Florida? Felder: He was. I used to walk up and down the steps of Florida Field on Saturday selling racks of Coca-Cola so I could watch the game and make a few bucks on the side. So I saw a lot of Spurrier playing there. And I really enjoyed being a part of the whole Gator kingdom down there. I was a huge Gator fan and still am, as a matter of fact. MRM: And as you probably know, Spurrier is now the head coach at the University of South Carolina, which is just down the road from us. Felder: You’ve got a good man. You’re in good hands with Steve Spurrier. MRM: You mentioned being friends with the Allman brothers. Did they ever ask you to join the band after the Duane tragedy? Felder: No, not really. It was a tragedy with the loss of Duane, and Berry Oakley, their bass player, died. You know, they went through very difficult, trying times there – and the departure of Dickie (Betts) from the band. I think Gregg (Allman) is out now doing some shows by himself, if I’m not mistaken. They were just an incredible talent. The combination of Gregg’s voice and Duane’s guitar was just immaculate. It was probably the best southern/rock/blues/slide guitar/ soulful voice combination I had ever heard and still is to this day. The writing and performing was just amazing. MRM: You later became friends with the band Chicago. Did they ever ask you to join after Terry Kath passed away? Felder: Yes, they did. Terry was a good friend. He lived right down the street from me. I was fence neighbors with Jimmy Panko, the trombone player in Chicago. He and I were real good friends. And after Terry passed, during the departure or “vacation” as Glenn (Frey) likes to put it, that we were on, I wrote a couple songs with Jimmy Panko for the Chicago record. And then went into the studio with them. And then they asked for me to come over and kind of rehearse with them. They wanted me to be in their band. As much as I enjoyed and loved their music, and I had studied and played jazz in the past, personally, I thought that was the wrong direction for me musically to go. I always was more leaning towards more rock and roll/southern rock – that type of approach to music. And Chicago was a great band musically and with song writing, but it just kind of was the wrong musical direction for me. So I very humbly and politely with all due respect declined their offer to join their band. MRM: Have you crossed paths with another southern band – and they’re from South Carolina – called The Marshall Tucker Band? Felder: (Laughs) We’re actually doing some dates – I think this summer that Marshall Tucker is on. We have played at the same venues numerous times. Usually summer festivals – they have shows running Thursday, Friday and Saturday night. I can’t tell how many times The Marshall Tucker Band and my bands have been at the same festival and went on different nights or at different times of the day, or I’ll be on first and they’ll be on later. We really don’t get a chance to see each other. Our paths have crossed numerous times on the road. Unfortunately, our paths have not crossed onstage. I would be delighted to sit in with those guys and play. It would be so much fun, and I’d really enjoy it. Hopefully that will happen one day. MRM: How did you end up joining the Eagles? So I took his advice and packed everything I owned into a U-Haul trailer and drove a ’65 Volvo from Boston cross country to California. Bernie was the only soul I knew in California at the time of my arrival. He was kind enough to let me sleep on the couch in his living room in his little house in Topanga until I could find an apartment. Then when the Eagles were in town, whether they were rehearing at a little soundstage or rehearsal hall, I’d just go down and hang out and see them and sit in with them and jam with them and play with my friend Bernie. When it came time for them to record “On The Border,” they wanted a real kind of rock and roll slide guitar on their record, so they called me up and asked me if I’d come into the studio and record with them. I worked for years at a studio in Boston, so I knew everything about making records. And really, I cut my teeth on the studio information in Boston. So I went, “Sure, I know exactly what to bring,” and told them what mics to use for the sound I wanted. Bill Szymczyk was producing this record. We went in and played “Good Day In Hell” for about four passes – four takes on it. “Ok, we got it.” We packed up, and I went home. Then the next day the phone rang and it was Glenn Frey asking me to join the band. So I accepted. I was actually playing with Crosby Nash at the time out here in LA – just as kind of a side man on one of their tours. I accepted their gracious offer to join the band, and that was how I was invited into the band. MRM: What inspired you to create the idea for “Hotel California”? Felder: At the time when it came to me, I had no idea that it would become a hit. I was just sitting on a couch in this rented beach house with cutoffs and a t-shirt just sitting there playing guitar like I did every day. And out came this little progression. And I played it three or four times and said, “I have to go record this before I forget it.” So I went back in my little daughter’s bedroom, which also served – when she was away – as my demo studio. And I recorded a little 12-string guitar part that’s exactly like the introduction that you hear on the record. And I just recorded it like three times through the progression and then turned it off. And then went on out to enjoy spending a nice day on the beach with my little kids. So I got a call a couple days later from Don Henley, and he said, “I kind of like that one that sounds like a Mexican Reggae.” And that was the track that was going to become “Hotel California.” So we got together and started talking about how no one had really come from California that was in the band at the time. Except Timothy, I think, was from Sacramento. Everybody had migrated into LA with the position of stars and success and all the images that everyone thinks of California from all the advertisements and print ads. Whether it be bikini clad beautiful women and palm trees and the stars on Hollywood Boulevard. All that stuff – those images are in your mind when you start driving into LA. And so that became the premise of trying to write that description of what that was like and felt like as you were driving through the desert, which we all drove in on Route 66 upon seeing the glow of LA on the horizon. So that was really the kernel of it based on the music track that I had written and given to Don and Glenn. MRM: How did you get involved with the “Heavy Metal” movie project? Felder: Well, I had written a batch of song ideas for “The Long Run.” One of them became “Those Shoes,” another one of them became “The Disco Strangler.” But I had written this other track that had dueling kind of harmony guitars, but it was like a much harder kind of rock track. And when we were in the studio trying to finish enough songs for “The Long Run” record, we got to the point where there was so much tension and so much drama – I think we finished 10 songs and that was it. So this leftover piece of music that I had written for “The Long Run” had all of those guitar parts on it, which was just left on the shelf there as a leftover. When I was invited out to see the screening of the animated “Heavy Metal” movie, I kept thinking of that track. I was going like that song would be perfect for this movie. So when I left I said, “I’ve got a great idea for this.” So I went into my demo studio and made a remake of the original demo that I made for “The Long Run.” And I wrote lyrics to it based on what I had seen in that movie. I went into Irving Azoff’s office, who was in charge of the movie’s soundtrack, and played it for him. He said, “That’s great for this movie.” So I went into the studio and recorded it with some session musicians and did all of the overdubbing and guitar parts, which I wished Joe and I would have been able to do. And I got Don Henley and Timothy (B. Schmit) to come in and sing the background choruses on it with me. Just produced it for that movie and didn’t think anything about it, and it wound up being a fairly well-received FM radio hit. It was nearly nominated for an Oscar for “Song In A Movie.” Anyways, it was a big delightful surprise to me that it was received so well. MRM: Did you receive a lot of new fans thanks to that “South Park” episode? Felder: (Laughs) You know, I got a call from the people at “South Park” to inquire about using “Heavy Metal” in an episode. I’ve been a huge fan of their television show for years, and I said I really only have one requirement: Can you make sure that the part the song goes into is really funny? And they said, “Don’t worry it’s perfect.” (Laughs) So when I finally got to see the final cut with my music underneath it, I said, “That’s great, let’s do it. Approved.” And so, I think I did get some new fans. I even mention “South Park” on the stage when I talk about the introduction of “Heavy Metal.” I talk about writing it for an animated movie and also it wound up in an episode of “South Park.” And a lot of people start laughing and going, “Yeahhh, I remember that!” And it was very funny. MRM: Do you prefer being in a band or a solo performer? Felder: There’s really great and negative aspects to both positions. When you’re in a band, you really can’t control what and how much and where and when you’re going to work. It’s kind of a group decision or done by management or it’s done by the leaders of the band. Like when I first joined the band, I was married and about to have my first child. And so my first four kids grew up with me being gone about 10 months out of the year. I was just on the road, working in the studio – just gone. So although I was building a major career by all the effort, work and energy were pouring into that opportunity – my family suffered. On the other side, when you’re a solo act and if I’ve learned nothing from being in the business all these years – the key for me is to control the professional and personal side of my life. As a solo act I can control how much I go out and play on the road. And how much I have time off to spend with my friends, family, seeing my kids, my grandkids, playing golf and having a real life as well a professional life. And that’s truly the happiest that I ever am – when I’m able to control the balance between the two because if you do one side of it too much, the other one really suffers. If you spend too much time off the road and out of the studio and with your friends and family and playing golf – your career really suffers. And if you spend too much time on the road and in the studio, your personal life, your relationship with your woman and kids all suffer and your friends. It’s important to me to balance the two and as a solo act it’s very easy for me to do that. So I would have to say that I’m more comfortable and happier as a solo artist being able to control my life in a band. MRM: You will be with the Doobie Brothers at this show. How has it been working with them and other acts? Felder: Well, I’ve known the Doobies for decades. And I have to say that they are some of the nicest, most talented guys in the business. There’s no ego, there’s no drama, there’s no attitudes – just really nice, great musicians. And it’s gonna be a pleasure for me to work with them. We’ve done some shows in the past. Last year, we did some shows with Boston, the Doobies and myself. And the response from the crowds was really great. The way everything worked together – the personal contract, everything was really very mellow, very easy to work with. And I’m really looking forward to a similar experience coming up here this week. And I’m doing some dates with Steve Miller. I’ve known Steve Miller for decades – great player, great guy. We spend more time hanging out and telling stories and talking about – he’s writing an autobiography himself. He was picking my brain on how to go about doing it. Just good, good relationships with good artists make it likeable to work together. We are doing some dates together with Huey Lewis. We play golf together on-and-off at fundraiser charity events like the Bob Hope or AT&T and different things like that. We even had a band together onstage. We wound up doing some Huey songs and some Eagles songs. He plays harmonica on “Pride And Joy” when I play it. We are just good friends. To work with people that you know and you enjoy being with is a pleasure in this business. And it kind of takes away all the stress that you sometimes may feel when you’re on the road with other acts. Anyway, I’m really looking forward to this summer with the Doobies, Steve Miller and Huey. We’re going to have a ball. MRM: Do you know what kind of set you will be bringing to town? Felder: Yeah, I will be doing some of all of it. I’ll be doing some Eagles classics that I either co-wrote, recorded with the band or toured with the band for 27 years. They’re some indelibly marked songs of my career. I’ll be doing some stuff from “Heavy Metal” and my solo past. Like I said, I do a version a version of “Pride And Joy,” which is a salute to Stevie Ray (Vaughan). It just gives me a chance to step out and play the blues. I’ll be doing songs from my new “Road To Forever” CD – my newest songs. Last summer, we had one of the songs stay on the classic rock radio charts for 12 weeks at #1. Classic rock radio really loved that record. So there are songs like “Wash Away” and “Girls In Black” that are just good rock and roll songs that have been well received both on radio and with live audiences. I just wish I had more time, I wish I could do two hours, but unfortunately I can’t with these other tours. We’re still gonna have a lot of fun. MRM: Anything else you’d like to tell the fans that want to see some good rock and roll on Friday, May 1 in Simpsonville, SC at the Charter Spectrum Amphitheatre? Felder: Put on your party hats and dancing shoes. Because we’re gonna rock and roll and have a great time. Most of the people wind up standing up for a large part of the show and dancing and singing to these songs. It’s just a really great fun rock and roll experience. So come on out, lets party!